President George H.W. Bush’s lasting legacy won’t be that of a transformational reformer or an ideologue, but rather a skillful manager of a world under extraordinary change, say biographers and experts looking at his presidency. Bush presided over triumphs for Western values such as the end of the Cold War, the collapse of the Soviet Union, and the fall of the Berlin Wall. He led the country, and a coalition of allies, to victory in Operation Desert Storm in 1991, the first war in Iraq. 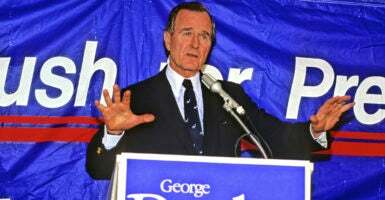 But, after winning a landslide victory in the 1988 election by running a conservative campaign, Bush disappointed many voters, chiefly by breaking his “no new taxes” pledge, a chief slogan of his campaign. Bush was willing to take politically unpopular actions, Engel said, and he faced consequences in his 1992 election loss to Bill Clinton. Another factor in Bush’s failed re-election bid, Engel said, was that skillful management of the unpredictable world he inherited. He was a one-term president in part because of his successes. The Gulf War had wrapped up early enough that it didn’t impact re-election. He managed things well enough that by 1992, people thought that foreign affairs were not important. The elder Bush also “looked the part” of president in a way that his four successors—including his son, George W. Bush—did not, Engel said. He was a Navy veteran of World War II as well as a former director of the Central Intelligence Agency, member of Congress, envoy to China, ambassador to the United Nations, and chairman of the Republican National Committee. So no one questioned his experience, Engel said, and he didn’t prompt polarization along a cultural divide. Although history credits Ronald Reagan for winning the Cold War—reaching a historic arms reduction agreement with the Soviet Union before the regime collapsed as Reagan built up the U.S. military—experts note that Bush, who served as Reagan’s vice president, deserves much credit for presiding over the uncertain aftermath. “Ronald Reagan had better foreign policy and leadership, but no White House managed foreign policy as professionally as the Bush White House,” James Carafano, vice president for national security and foreign policy at The Heritage Foundation, told The Daily Signal. “As a war leader, he was Lincolnesque,” Carafano, a 25-year Army veteran, added of Bush. Bush worked tirelessly to prevent major conflict and assured the most peaceful demise of the Soviet Union as possible. He understood the importance of diplomacy and personal negotiation, using his contacts throughout the world to help ease the changes that were taking place. Declaring victory in a war, whether it’s cold or hot, is easy; the tough part is dealing with the aftermath. As the Soviet Union broke apart, Bush had to calm fears of both enemies and allies that a stable world could emerge from the aftermath. Coalition building, Cairo said, was key to Bush’s top military victory. “In 1988 George H.W. Bush ran what was arguably one of the most conservative campaigns for president of the modern era,” Viguerie, now chairman of FedUp PAC and the website ConservativeHQ, wrote. However, Viguerie notes, Bush went on to impose regulations by signing the Americans with Disabilities Act and the Clean Air Act, and to temporarily ban semiautomatic rifles. In 1991, Bush nominated Clarence Thomas to the Supreme Court, and he has proved to be a consistent constitutional conservative ever since. However, Bush’s 1990 appointment to the high court was David Souter, who went on to vote consistently with the liberal wing of the court and became a sore point with conservatives. Souter retired in 2009. 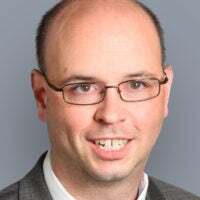 “And in what was perhaps his most lasting and damaging betrayal of conservatives, he appointed an obscure state judge, David Souter of New Hampshire, to the Supreme Court,” Viguerie wrote of that decision. Bush was a pragmatic leader, Cairo noted. “The ADA is certainly one of the most important legacies for President Bush. He understood that government is not the enemy, but could be used to promote the public good and help all Americans,” Cairo said. A funeral service will be held Wednesday morning at Washington National Cathedral. Son George W. Bush will deliver a eulogy, as will former Canadian Prime Minister Brian Mulroney, former Sen. Alan Simpson, and presidential historian Jon Meacham, Fox News reported. The body of the 41st president will be flown back to Houston to lie in repose at St. Martin’s Episcopal Church before another funeral service there Thursday, followed by burial at the George Bush Presidential Library at Texas A&M University.